There are hotels. There are conference centers. And then there is IPEC Las Vegas. Opened in September 2015, the Las Vegas-based freestanding conference center featuring industry-first overnight acccommodations is redifining event venues. Whether hosting a wedding celebration, a conference, convention, gala or any other event, guests won't have to risk overplanning or desperately booking last-minute accommodations. 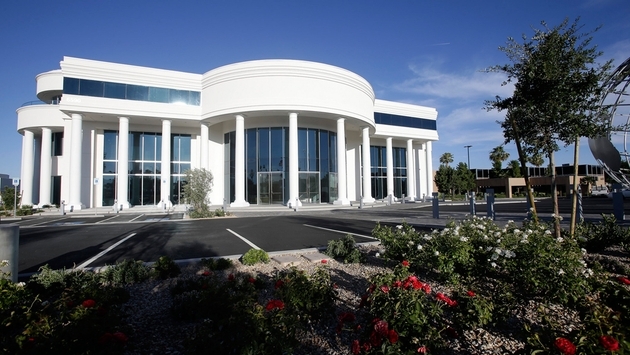 While IPEC Las Vegas is undoubtedly a one-of-a-kind facility, that wasn't the plan all along. "The original project was going to be an education center, and as the facility began to unfold the owners saw that the marketplace was lacking a commercial facility that really speaks to what we think is an underserved customer base," said General Manager Mike Fiorentino. "It kind of evolved from an education center to a full-service conference center." The venue still serves as an education center, having hosted more than 70 events since opening. Despite the fact it features more than four dozen rooms and suites, IPEC Las Vegas isn't a hotel. The overnight accommodations are available exclusively to clients who book the facility. "People have suggested to us that it's so unique that we do not offer the guestrooms to the public," Fiorentino said. 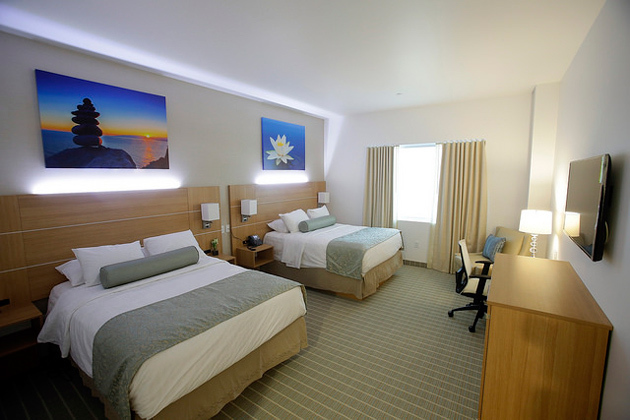 "So if there's an event you can have access to the guestrooms. 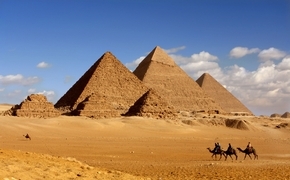 But we're not opening it up to any kind of tour operators, we're not opening it up to anyone who would just want rooms." 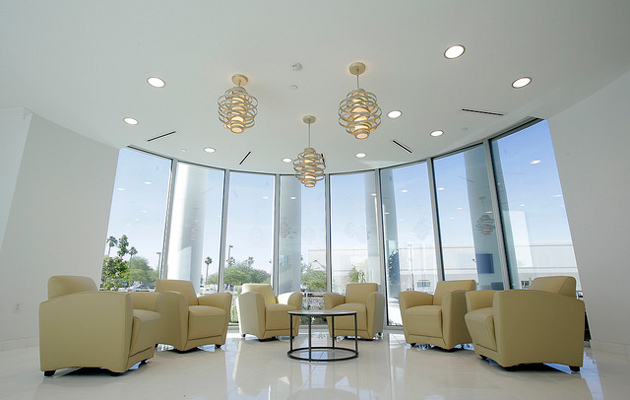 There's no shortage of event space inside IPEC Las Vegas. The venue can comfortably accommodate anywhere between 50 and 720 people and as many as 200 people within its 49 combined guestrooms and suites. Rooms include a 10,000-square-foot ballroom, a 5,000-square-foot reception foyer, a 1,300-square-foot multipurpose room and five conference rooms ranging from 399 square feet to 1,107 square feet. Each of the 46 guestrooms is equipped with two queen-sized beds, a bathroom, desk and sitting area, while IPEC Las Vegas offers two different types of suites. The two VIP speaker suites are one-bedroom suites that offer a master bath, living room and wet bar and the bridal suite is a four-bedroom suite that comes with three baths, a living room, dining room space and a kitchen. Fiorentino considers the guaranteed guestroom availability "an incentive to book." "Whether it's in the social market, where you may do a wedding and people need a place to stay, or a non-profit gala where maybe the board of directors would like to spend the evening where the event is being hosted." IPEC Las Vegas' offerings extend well beyond its versatile event space and accommodations. Other on-site services include two massive customizable LED screens, audio/visual and production services, wireless connectivity and business center services. The venue also boasts round-the-clock security and parking for up to 200 vehicles. A 2,500-square-foot kitchen highlights IPEC's list of amenities. "We have purposefully not ventured into the food service industry," said Fiorentino. "We feel that there are some outstanding caterers here in Las Vegas and we've identified a few that we like working with. But we want to keep the option open for those clients that have a long history of working in freestanding facilities in Las Vegas so that they can bring their own caterer in. What we provide is the infrastructure for those catering companies to function." IPEC Las Vegas offers special opportunities for travel agents, with the venue announcing last month that travel agents who book events for their clients at IPEC Las Vegas will receive competitive 10 percent commission rates on room rental fees. Fiorentino said that IPEC Las Vegas is embracing agents and aims to compensate them with what's "fair and equitable." "We're in support of providing compensation for people that bring us business. And we will do that based on the entire package as opposed to just rooms," he added. Although it's too early to know what the future has in store for IPEC Las Vegas and the concept that sets it apart from its competition, Fiorentino said the "response has been overwhelming." "We've had a lot of success, even though we're early on, with the concept. The unique concept sets us apart so we're going to stay with that." Nonetheless the key for IPEC Las Vegas moving forward is spreading the word. "This idea of being self-contained with rooms and event space is really new and while we're touching all the right bases as it relates to our feeder markets and the channels that we need to develop, it's about education," said Fiorentino. "We need to educate the market that we're going after about this because there are very few around the country that are operating this way."